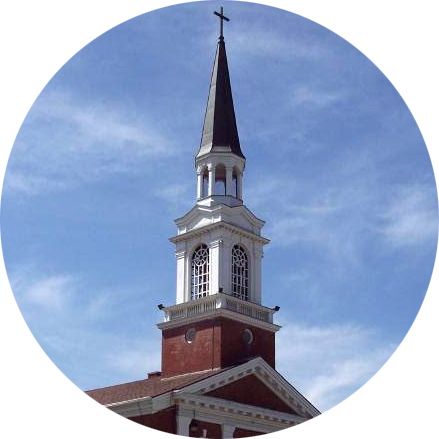 Welcome to the website of First Baptist Church of Ogden! We’re located at 2519 Jefferson, on the southwest corner of 25th Street and Jefferson Avenue, across from the Weber County Central Library. The parking lot is accessible from 25th street. We have a worship service at 11:00 am each Sunday, followed by a time for fellowship and snacks. Childcare and children’s activities are available during the service, which includes music, prayer, and preaching. Tuesday night is Bible Study 6:30 – 8:00 pm. Every other Tuesday during the summer, we grill hot dogs with the community on the east side of the church. Other activities include a neighborhood food pantry, men’s and women’s group activities, and mission and service projects. Ogden First Baptist Church was originally established in 1881, and moved to its present location in 1923. It merged with New Beginnings Christian Church (Disciples of Christ) in 2008. Ogden First Baptist is affiliated with the American Baptist Churches of United States of America. If you are not familiar with our church and your first contact with us is online, we would be pleased to hear from you. We welcome you to join us! Let us know what your questions are, we will be more than happy to help.